Melissa Clark, What Are You Reading? I recently had the pleasure of meeting Melissa Clark when she was in Austin for the Texas Book Festival. Over some bowls of chili and chips and salsa, we talked food, books, kaffir lime trees, and hog roasting parties. Melissa writes the New York Times Dining section column A Good Appetite which is where I found my favorite granola recipe last year. Her new cookbook with essays, based on that column, is called In the Kitchen With a Good Appetite , and it has great chapter titles like “The Farmers’ Market and Me,” “Things with Cheese,” and “Better Fried.” She also writes for Bon Appetit, Food and Wine, and Martha Stewart Living. Melissa has written 29 other cookbooks as well including collaborations with Daniel Boulud for Braise , David Bouley for East of Paris , and Claudia Fleming for The Last Course . Earlier this year, The Perfect Finish , which was a collaboration with White House pastry chef Bill Yosses, was released. Coming up on Tuesday, November 2, Melissa will be teaming up with Amanda Hesser for a joint book launch event in New York City which will benefit Wellness In The Schools. Of course she had some interesting titles to share when I asked what are you reading? 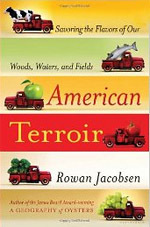 I’ve just read American Terroir: Savoring the Flavors of Our Woods, Waters, and Fields by Rowan Jacobsen, I have a feeling it’s one of those “important” books everyone will be reading and talking about – or at least it should be. Jacobsen’s essays are insightful and funny, speaking of the connection between the environment and how it affects the food we eat. Each essay is topped off by a recipe, so, really, there’s something for everyone. 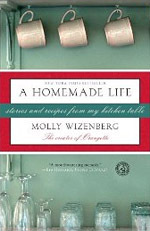 On my beside table now I’ve got A Homemade Life: Stories and Recipes From My Kitchen Table by Molly Wizenberg. I’ve been a fan of her blog Orangette, and her new book of personal essays and fantastic recipes mines the same rich territory. 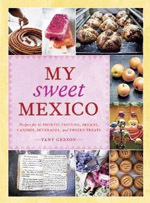 And there’s also My Sweet Mexico: Recipes for Authentic Pastries, Breads, Candies, Beverages, and Frozen Treats by Fany Gerson. It hasn’t made it’s way down to the kitchen yet – right now I’m pouring through her highly informative notes on the history of Mexican pastry, they make for superb bedtime stories. I suspect this year’s Holiday Cookies will be greatly influenced by Ms. Gerson. But first on my list of to-try recipes is Chestnut Flan, seasoned with apricot jam. 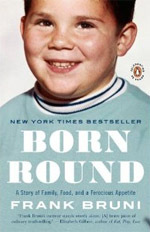 Then, on my iPhone, I’ve got the Kindle edition of Frank Bruni’s wonderful, equally hilarious and poignant memoir Born Round . I read this astounding memoir when it first came out in hardcover, but recently downloaded it to reread on long subway rides. Thank you for participating, Melissa. Check back to see who answers the question next time and what other books are recommended. 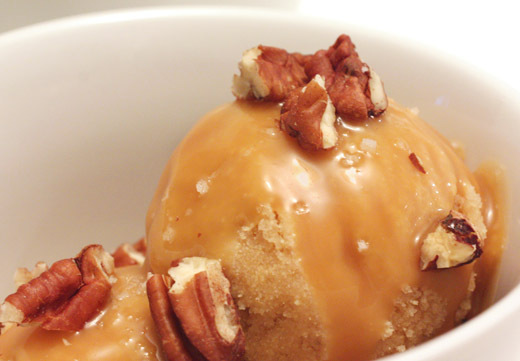 Caramel apples are as classic as fall treats get, and caramel anything always gets my attention. However, biting into a big, gooey, caramel-coated apple can be a little messy, although that doesn’t stop me. Here, the same flavors were brought together in the form of an ice cream sundae eaten neatly with a spoon. 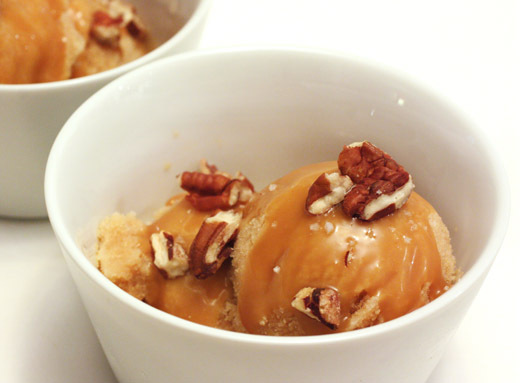 The ice cream is packed full of tart, apple flavor with just a hint of an edge from the added cognac, and the caramel topping with pecans makes it a frozen caramel apple delight. This is from My Favorite Ingredients , a book I can’t seem to put down for long. The ice cream is very appley and not too decadent as it’s made with five pureed apples, a little cream, and no eggs. Of course, the caramel ups the decadence quotient, but I think caramel is always worth it in that regard. The size or weight of the apples wasn’t specified, but I used three smaller, local apples and two larger fujis from the grocery store. They were peeled, cored, chopped and pureed in a blender with lemon juice, cognac, and some sugar. Once smooth, two-thirds of a cup of cream was added and blended into the mixture. That went into my ice cream maker to churn. 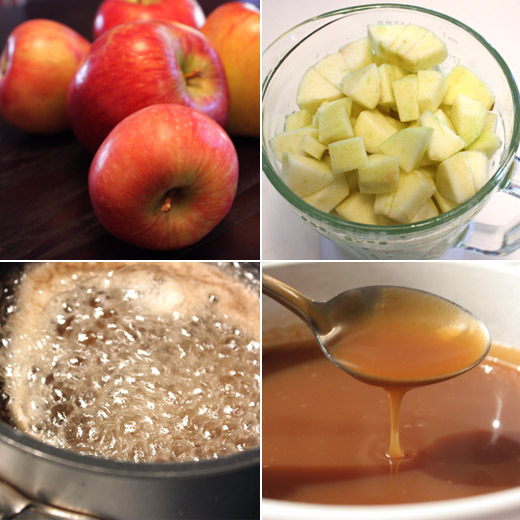 The caramel sauce was made with sugar and water which was cooked in a saucepan until it reached a nice, amber color. Cream was added which makes it spatter violently, and then it was cooked while stirring until smooth. A little sea salt was added directly to the sauce. Toasted, chopped pecans garnished the sundaes, and I can never resist adding a few flakes of sea salt on top of caramel. This dessert took Kurt by surprise. After his first bite, he proclaimed it to be very good. Then, he further commented on how nicely pronounced the appleness was in the ice cream. The fresh apple flavor really came through even with the caramel sauce on top, and those two things together, in a messy treat or a tidy one, are just meant to be. One of the first types of wheat to be grown as a crop during the Neolithic era was einkorn. 12,000 years later, this ancient grain is being cultivated again and in this case made into pasta. Nutritionally, it’s very similar to the whole wheat pasta I usually buy, but einkorn is touted to have twice the antioxidant capacity of durum wheat. 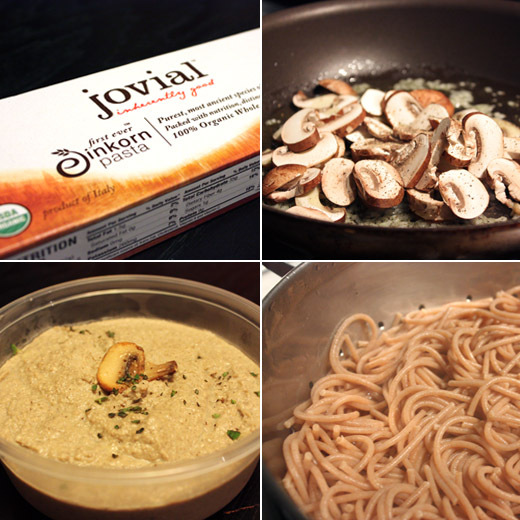 I received samples of einkorn pasta from Jovial and was curious about the flavor and texture. 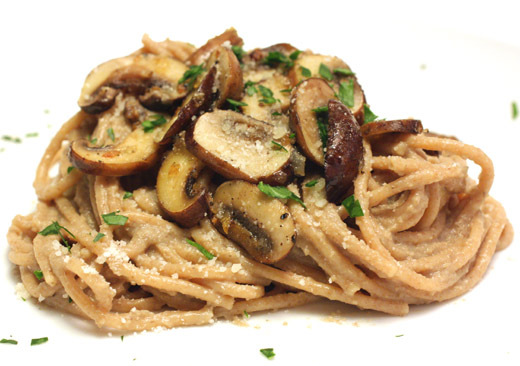 Mushrooms always work well with the nuttiness of whole wheat pastas, so I had a meal plan in mind. I had just brought home some mushroom paté made by Kocurek Family Charcuterie which sells at our farmers’ markets. I stirred the paté into the pasta and topped it with some sauteed, sliced creminis. I’m easy to please with a plate of any sort of pasta with mushrooms, but this was a particularly good combination. The Kocureks make their paté with mushrooms, almonds, onions, butter, thyme, sherry, and salt and pepper. It’s a smooth and fragrant blend with a nice nutty, woodsiness about it. Another suggested use for the paté would be in stuffed chicken breasts. I added texture to the dish by topping it with sliced creminis that I sauteed in olive oil with minced shallots. Once on the plate, I added just a little freshly grated parmigiano reggiano and chopped parsley. With some whole wheat pasta, I don’t notice much difference in flavor from regular white pasta. Other times, there is a more noticeable wheaty flavor that I’ve come to appreciate. 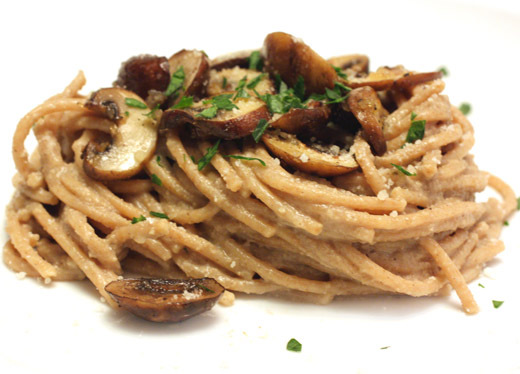 This einkorn pasta did deliver in wheatiness and was fitting with the mushroom paté. While I might want a simpler pasta flavor for more delicate dishes like something with shellfish, I think this would pair very well with all of fall’s vegetables. Joan Nathan, What Are You Reading? I always enjoy seeing Joan Nathan appear in Martha Stewart cooking segments, and during a show last spring she prepared a delicious-looking chicken pandora with sun-dried tomatoes and artichoke hearts. Joan has authored ten cookbooks including the James Beard and IACP/Julia Child Cookbook of the Year award-winning Jewish Cooking in America . She is also a regular contributor to The New York Times, Food Arts Magazine, and Tablet Magazine. Her most recent book is Quiches, Kugels and Couscous: My Search for Jewish Cooking in France . I received a review copy of this book which tells the story of how Jewish cooking is thriving in France with both traditional dishes and new, contemporary approaches. Quiches, Kugels and Couscous was recently the pick of the week of all books reviewed by Publishers Weekly. Joan will be in Austin, Texas on November 14 for a brunch event as part of the Austin Jewish Book Fair 2010. Although she's been busy with her new book, I knew she would have an interesting answer when I asked what are you reading? Just recently I was revisiting Lynne Rossetto Kasper's extraordinary book the The Splendid Table: Recipes from Emilia-Romagna, the Heartland of Northern Italian Food in which she discusses the role of doctors in Bologna introducing foods in the Middle Ages. This book is a real masterpiece of writing, researching, and recipes. I’ve also spent time with Amanda Hesser's The Essential New York Times Cookbook in which she carefully scrutinized the past to get to the present. Another book I looked at recently was the Community Cookbook from Woonsocket, RI. Written during the second World War by older women when all the men were at war, it is my go to book for old Jewish recipes. In this case I was looking for old cholent (the sabbath covered stew) recipes. Thank you for participating, Joan. Check back to see who answers the question next time and what other books are recommended. It couldn’t have been better coordinated. Just after reading about persimmons in the latest issue of Edible Austin, we received persimmons in our CSA. A persimmon bundt cake with Italian cream cheese frosting was mentioned along with a salad with toasted walnuts and a persimmon flan. Everything sounded delicious and I’m hanging on to that bundt cake recipe, but I immediately zeroed in on the persimmon martini with fresh ginger, lemon, and a vanilla bean. The cocktail recipe was written with a juicer in mind, and I don’t own one. 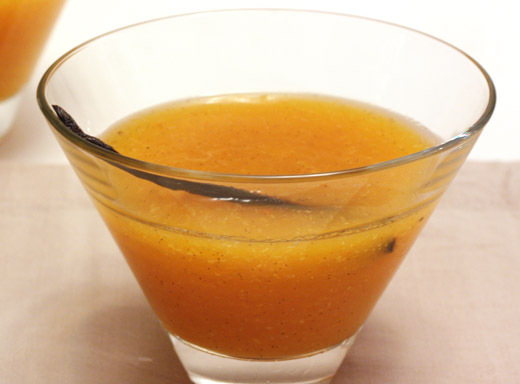 I pureed the persimmon flesh with lemon juice and grated ginger rather than juicing them. However you do it, the flavors will be fantastic. This cocktail is perfectly suited to the fall season, and I’m already thinking of other ways to combine these well-matched ingredients. 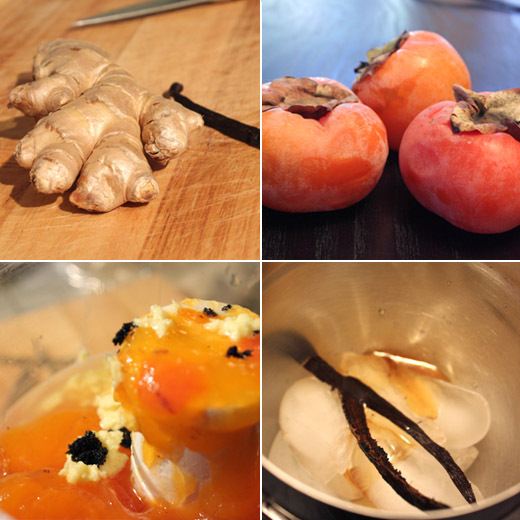 I started by scooping the very ripe flesh from four persimmons and picking out the seeds. That went into a food processor with lemon juice, freshly grated ginger, seeds scraped from half a vanilla bean, and a little honey. It was processed until smooth, and then it was stirred with ice and vodka in a cocktail pitcher until well chilled. The ice was strained as the martinis were poured into glasses. If you use a juicer, your fruit mixture will be thinner and should work fine in a cocktail shaker. I learned the hard way that my puree didn’t pour well through the shaker’s strainer. Hence, I transferred it to a pitcher. Once in glasses, the martinis were garnished with half a vanilla bean. 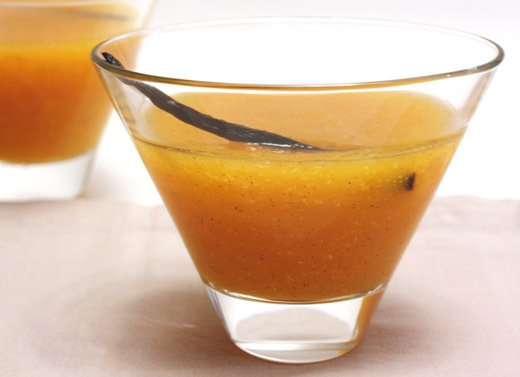 The vanilla warms up the persimmon flavor, and the ginger and lemon add zing. As soon as I tasted this concoction, I imagined it would make a delicious sorbet or maybe a pudding. Or, I might simmer it until it’s thickened and pour it over ice cream. Maybe I should mix a few more martinis and see what other ideas come to mind. Pickled pumpkin has such a nice ring to it, and that’s what this was supposed to be. The page for this salad had been marked since March when I first got the book My Favorite Ingredients . I had waited months to try it, and when I had an extra butternut squash and some tomatoes on hand from our CSA, I went for it. With a mix of both winter squash and tomatoes, it’s a perfect cross-over season dish. I’ve enjoyed everything I’ve tried from this book. 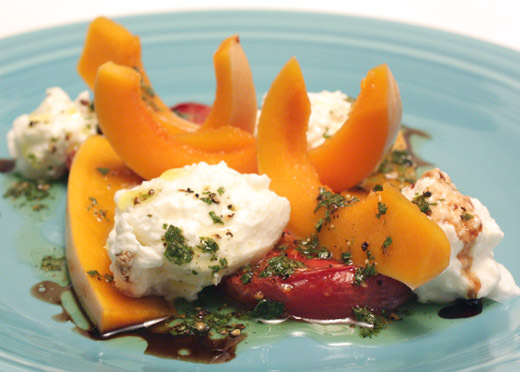 Interesting flavor combinations and simple, seasonal dishes keep me coming back to it. The chapters in the book are organized by ingredient, and this salad is from the vinegar chapter. The butternut squash was pickled in red wine vinegar, and the salad was finished with aged balsamic. The vinegars were balanced by the sweetness of the squash and slow-roasted tomatoes and the beautiful, creamy, fresh burrata. 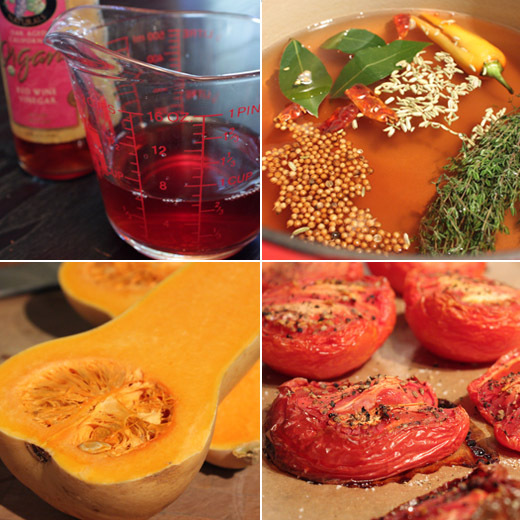 To begin, you should pop the tomatoes in the oven since they slow-roast for three to four hours. Of course, this can be done in advance, and the tomatoes can be stored in the refrigerator. Halved tomatoes were sprinkled with salt and pepper and roasted at 250 degrees F until shriveled with concentrated flavor. For the pickles, sugar was combined with red wine vinegar, a bottle of dry, white wine, some bay leaves, coriander seeds, fennel seeds, a bunch of thyme, and a hot chile. 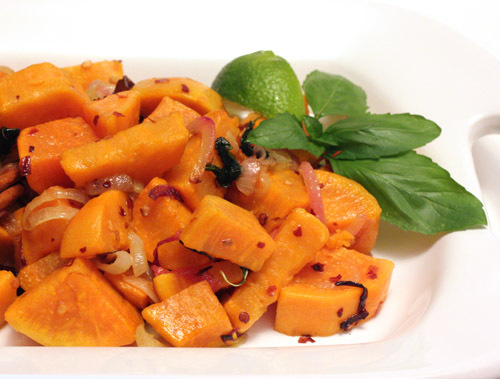 The mixture was warmed until the sugar dissolved while the butternut squash was seeded and sliced. The peel was left on the squash to keep the thin pieces intact while cooking. The squash slices were placed in the pickling liquid where they simmered for about an hour and then were allowed to cool. I picked the squash pickles out of the liquid and strained the liquid back over the pickles before storing them in the refrigerator. Readying the tomatoes and pickles took some time, but it was mostly waiting time. Then, putting together the salad was a breeze. The dressing for the salad was a mix of fresh oregano leaves chopped with some salt and combined with lemon juice and olive oil. 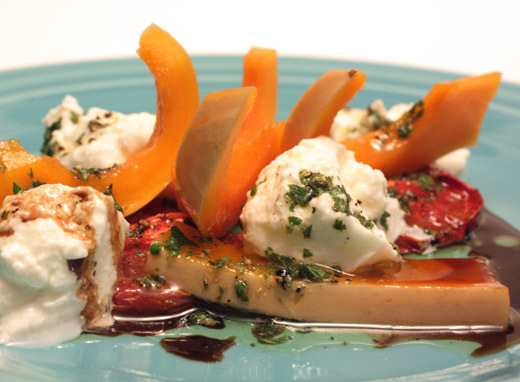 The pickled squash and roasted tomatoes were arranged on plates and topped with burrata, that was drizzled with the oregano dressing, and then aged balsamic was dribbled on the plate. This was my kind of salad since I like just about any kind of pickle. The butternut squash slices had softened a little but retained some texture, and you could cook them more or less to achieve whatever level of crispness you prefer. As they were, they provided nice textural contrast with the roasted tomatoes and burrata. And, there were plenty of leftover pickles. They're great for snacking straight out of the refrigerator. Last week, I was planning to bake cookies for some friends, and I wanted to come up with something their kids would really like. I asked Kurt what kind of cookies I should bake. His answer, shockingly, was chocolate chip. You should know that anytime, anywhere, under any circumstances, when asked what type of cookie should be baked, Kurt’s answer will be chocolate chip. And, he backed up that predictable response by informing me that everyone likes chocolate chip and surely that would make the kids happy. Well, he had a point, but I also wanted to offer something a little bit different and fun. 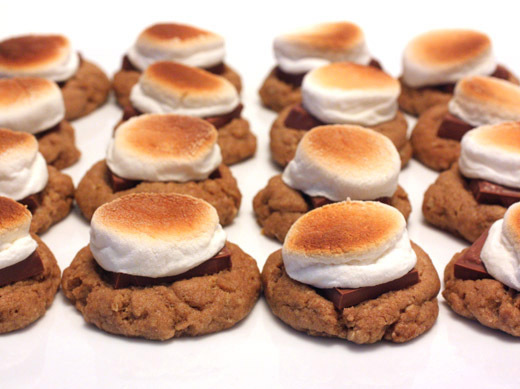 I went searching through both paper and digital files and found these s’mores cookies that I bookmarked from a cookie slideshow. I thought they definitely qualified as fun. They’re also really easy to make. 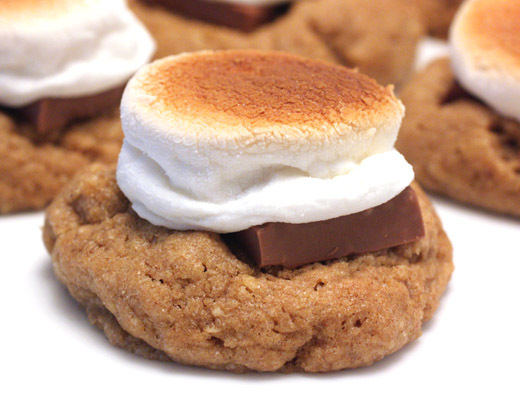 The cookie base has whole wheat flour and ground oats that give it a graham cracker vibe, and the toasted marshmallow topping looks as good as it tastes. 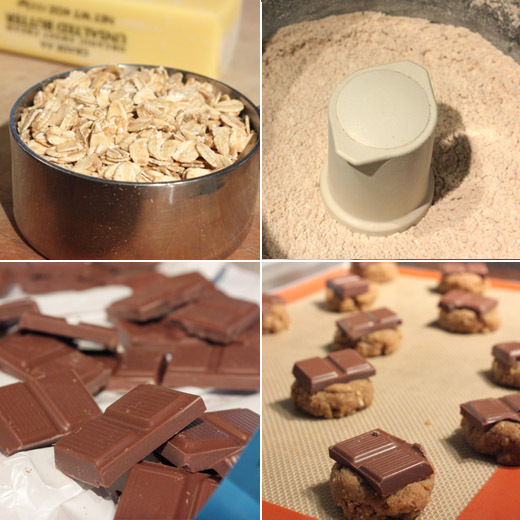 The cookie dough was started in a food processor by first pulsing the oats until finely ground. All purpose and whole wheat flours were added with cinnamon, baking soda, and salt, and that was pulsed to combine. In a separate bowl, butter was mixed with brown sugar and an egg, and then the flour mixture was added. The cookies were shaped by the tablespoon on baking sheets and topped with squares of chocolate. I used milk chocolate thinking that kids probably prefer that to darker chocolate. The cookies baked for about thirteen minutes, and then each was topped with a marshmallow cut in half. One baking sheet at a time was placed under the broiler for a minute or so to toast the marshmallows. The chocolate squares don’t actually melt into the cookies. They keep their shape and are good bases for the half marshmallow toppers. When you cut the marshmallows, placing the halves sticky side down prevents them from falling off the cookies when you move the baking sheet to the oven. With such easy preparation and a classic flavor combination like this, it’s a keeper of a recipe. Of course, I made chocolate chip cookies too which made Kurt very happy, but I thought the s’mores cookies were the better of the two. I made homemade Kaiser rolls, and I had a plan for them. I had been thinking about these sandwiches on Kaiser rolls for a year, or the recipe had been sitting in my files for that long anyway. Last September, these num pangs appeared in Food and Wine, and the combination of big flavors and crisp vegetables was something I wanted to try. 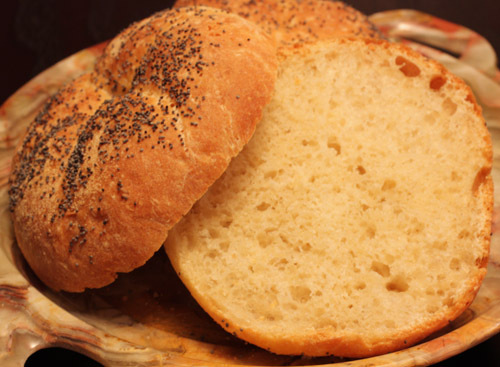 They could have been made with just about any roll, and semolina baguettes were suggested as another option, but they were shown on Kaiser rolls which seemed just right. There’s a lot going on in these sandwiches. 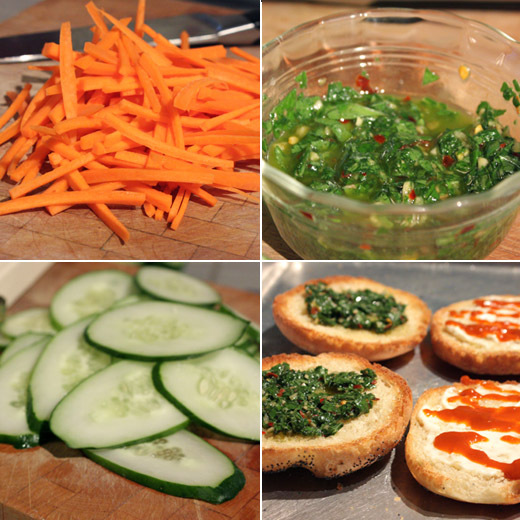 The julienned carrots aren’t just raw carrots. They’re crisped in vinegar with a little sugar. And, the pesto is no standard pesto. It’s made with Thai basil and spiked with anchovies, lime juice, and fish sauce. That’s not all. While plain mayonnaise would have been good, drizzled with sriracha, it was even better. So, to make those quick-pickled carrots, cider vinegar and sugar were combined and the julienned carrot sticks were tossed in the mixture. That was left at room temperature for an hour and stirred from time to time. The pesto was made by whizzing the following in a food processor: Thai basil leaves, anchovies, lime juice, fish sauce, crushed red pepper flakes, and chopped garlic. 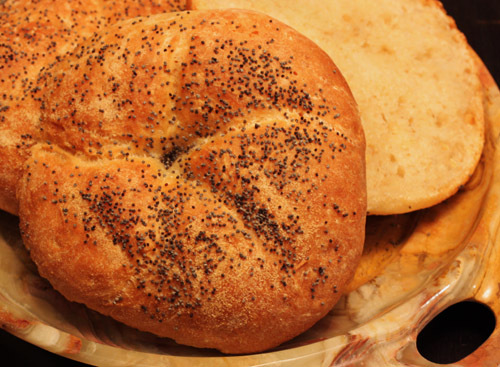 The Kaiser rolls were split, toasted, and buttered, and then it was time to build sandwiches. One side of each roll was spread with mayonnaise and drizzled with sriracha, and the other side was topped with pesto. 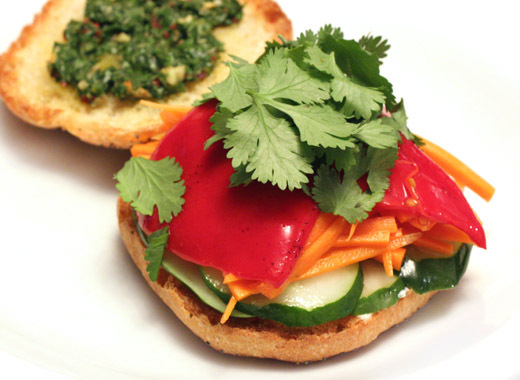 The sandwich was layered with thinly sliced cucumber, piquillo peppers, carrots, and cilantro leaves. This sandwich has been by far my favorite use of these Kaiser rolls. 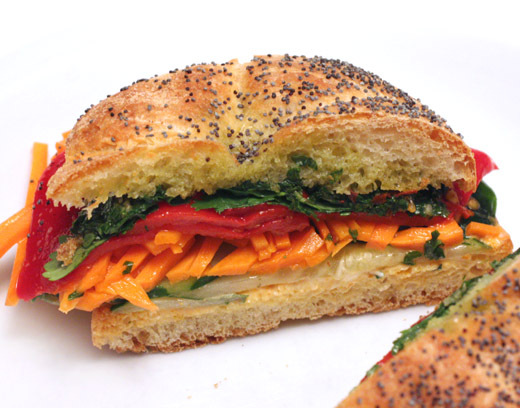 For a sandwich full of vegetables, the flavor was incredible. The smokiness from the piquillos was a nice touch, but even raw red bell pepper strips would have been great. I definitely recommend the pesto, and there’s a tip in the recipe intro for a quicker version. Store-bought basil pesto could be doctored by adding chiles, lime juice, and fish sauce for a similar result. I also wouldn’t skip the sriracha on the mayonnaise. In fact, that will be appearing on almost all of my future sandwiches. When I finally started baking from The Bread Baker's Apprentice , I didn’t have good luck with the first two breads I tried. Maybe I chose poorly and should have started with less fussy varieties, but the efforts weren’t completely wasted. I became more familiar with pre-ferments and how chilling them overnight before mixing them into a dough develops flavor. Flavor was definitely not a problem with those first two breads, but I decided to take a break from ciabatta and pugliese and attempt Kaiser rolls. I wanted to jump right in and order a Kaiser roll stamp to make the distinctive cuts in the tops of the rolls, but given my track record with this book, I decided to wait and see how the first batch went before buying a special tool. The stamp makes the pinwheel cuts with one press. There’s also an alternative suggested in the book which involves making a knotted kind of roll that looks similar. I decided to just make multiple cuts in a pinwheel pattern using a lame . The rolls turned out fine, so I’ll have to order the stamp for next time. Once again, a pre-ferment, this time a pate-fermentee, was mixed and chilled in the refrigerator overnight. The pate-fermentee was brought up to room temperature and then mixed into a dough with flour, salt, barley malt syrup, yeast, an egg, vegetable oil, and water. The dough was kneaded and then fermented for two hours. It was divided into eight pieces which were left to relax for ten minutes before shaping each into a Kaiser roll with pinwheel cuts on top. Then, oddly enough, each roll was placed top side down on a semolina-dusted baking sheet. The pretty, swirly cuts were smashed. That just seemed wrong. After 45 minutes, the rolls were flipped cut side up, and I ended up re-cutting the swirls into most of them. They proofed for another 30 minutes while the oven warmed. Then, I had some questions. The rolls pictured in the book have glossy tops that I assumed could only be achieved with an egg wash. However, the instructions for pre-baking were to simply mist with water and sprinkle with poppy seeds or sesame seeds. I proceeded with just water and sprinkled poppy seeds. That was question one. Question two was why was the oven spritzed with water after loading the rolls? Steam produces a crispy crust and these should have been tender and shiny rather than crisp. So, as suspected, water on the rolls and water spritzed in the oven resulted in crisp surfaced rolls that were perfectly fine and tasty but completely lacking gloss, and next time I will try an egg wash and no water sprayed in the oven. It was a lot of fun to make Kaiser rolls at home for the first time, and they were delicious rolls. Sally, who is a great bread baker at Bewitching Kitchen, has told me that Reinhart’s later books include slightly different techniques with more consistent results. It will be interesting to bake from and compare the more recent books. Not that I’m giving up on this one. I’ve learned so much, it was almost like bread college in a book. 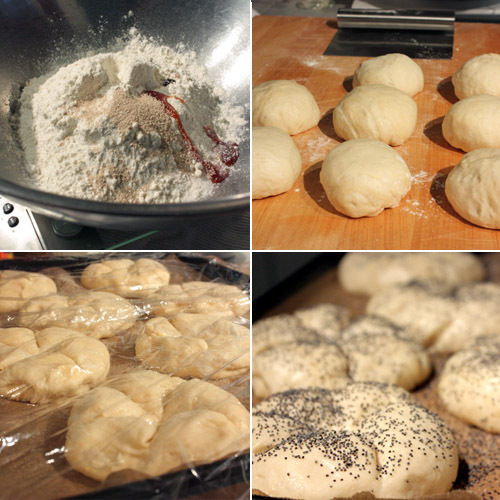 I’ll definitely be trying more from it, but up next, I have to show you how I used these homemade Kaiser rolls. Sweet potatoes keep coming in our CSA bushels, and they are a welcome site. My favorite use of them is making oven fries seasoned with various chile powders. I’ve taken to dipping those oven fries into harissa instead of ketchup which brings another layer of smoky, spiciness. It’s not that I’ve gotten tired of that routine. In fact, I’ll probably roast some wedges and serve them exactly like that later this evening, but with last week’s sweet potatoes, I felt the need to try something new. I found this Sri Lankan dish in Madhur Jaffrey’s World Vegetarian . 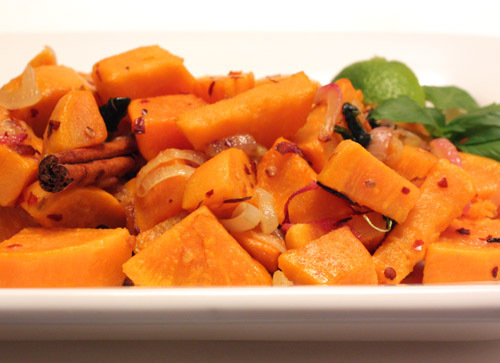 It’s made with an aromatic and spicy mix of ingredients that accommodates sweet potatoes like it was meant to be. 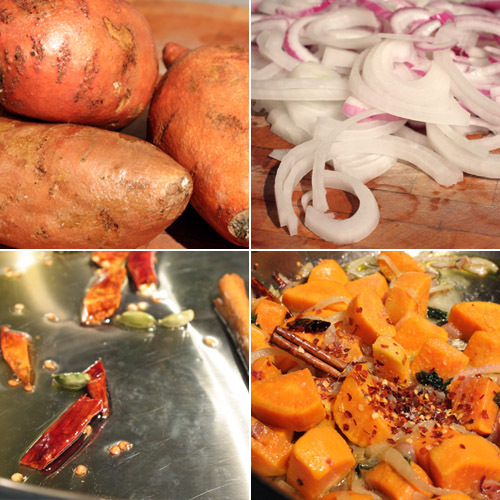 First, peeled and chunked sweet potatoes were boiled with ground turmeric added to the water. Next, oil was heated in a large frying pan, and dried red chiles were added followed by whole cardamom pods and a cinnamon stick. Then, I ran into an issue with needing curry leaves. I can never find curry leaves, and I’ve considered growing my own plant, but a suggested substitution was holy basil or any basil. I do have Thai basil and opal basil and Genovese basil plants and they're all still doing well, so I used Thai basil here. About 20 leaves were added to the frying pan with the spices, and the amazing smell of those ingredients cooking together was a happy moment in the kitchen. It got even better when a big pile of sliced onions was added. After the onion slices browned, the drained sweet potato chunks were added and cooked for five minutes or so until tender but still holding their shape. Last, crushed red chiles, salt, and lime juice were added just before serving. The alluring cooking smells translated into a very flavorful dish. The sweetness of the potatoes and the sweet savoriness of the browned onions were met with chile heat and warm spices. Of course I’ll continue to make my regular oven fries from time to time, but now there’s a new sweet potato dish to add to the rotation.